If you're loyal user of Apple iOS or Windows Phone devices, but still curious to virtually explore the top-notch features of Android OS, Android Apps and what its offering to its smartphone and tablet device users without buying a secondary Android phone then this tutorial is for you. 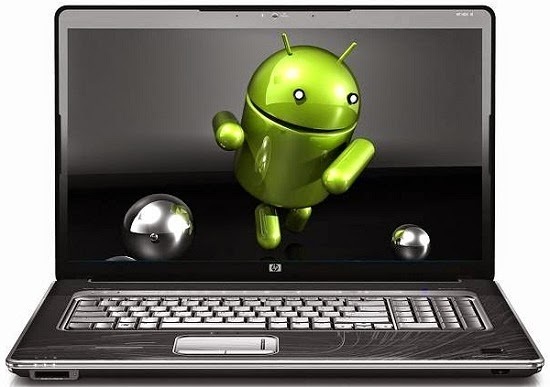 We are providing two different working method, guide and tutorial on How to Download, Install and Run Android 4.4 KitKat in a Virtual Machine on Windows, Mac OS X, Linux PC and Laptops Using VirtualBox or VMware. 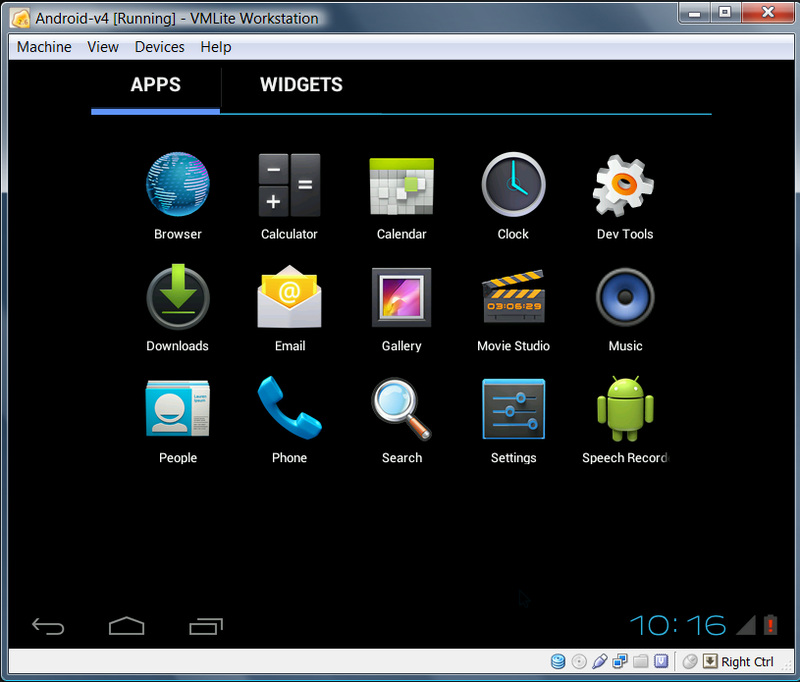 The benefit to install and run Android mobile operating system in a virtual environment on desktop PC or laptop using any virtualization application instead of running on a dual boot setup is that, Users can easily install and run secondary OS in no-time and can also delete and format the OS much quickly as its temporarily installed on your virtual hard disk. Users can also enjoy Android Applications and Android Games after installation. Preconfigured Android x86 ISO Files are available for Windows, Mac OS X and Linux systems for virtualization with seamless features, such as mouse support for navigation etc. We are sharing two separate working tutorial and guide on How to Install Android in a Virtual Machine on Windows, Mac OS X, Linux Using VirtualBox or VMware. Step 1: First, Setup your Virtual Machine (VM) i.e. Set min 512 MB RAM, Or you can make your desired configuration too. 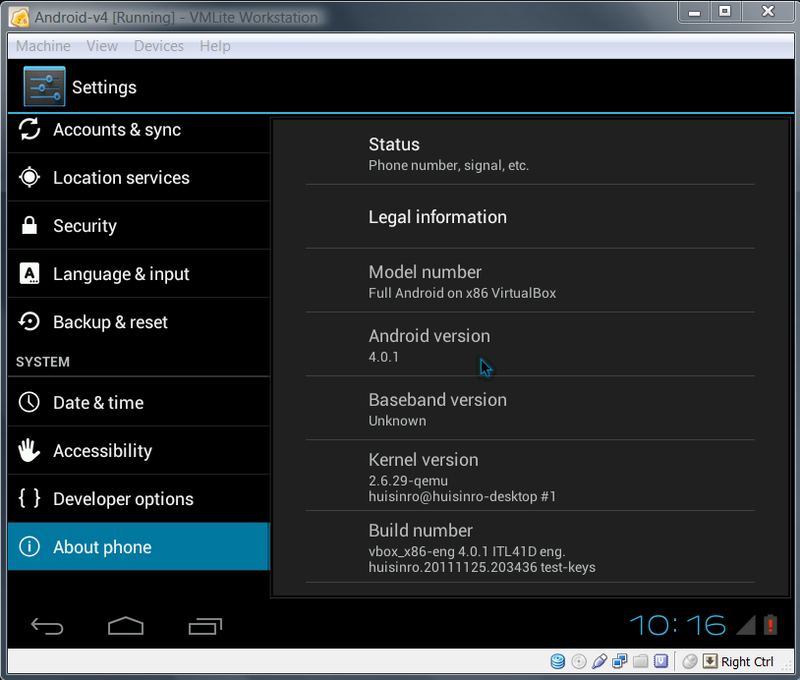 Step 2: Now, Make sure you have already loaded the Android x86 ISO File, after that, Run the Virtual Machine (VM). Step 3: A GRUB like menu will be generated by Android x86, Just select 'Install Android-x86 to hard disk'. Step 5: You can now Install Android x86 to your new hard disk partition. Step 6: After that, Format the partition as Ext3 / Ext4 (Ext3 / Ext4 is recommended instead of Fat32 or Ext2). Step 7: Now, You will get some message of GRUB Bootloader installation. Answer it by selecting 'Yes' if you're on Windows. But if you're on Linux, Ubuntu / already installed GRUB Bootloader, Select 'No'. Step 10: You can now Reboot your Windows, Mac OS X or Linux OS PC / Laptops. You're done. Congratulations!! Note: For any help or support in troubleshooting, Click here. Step 1: Download and Install VirtualBox Software on your desktop PC or laptop, and also Download VMLite's Android v4 Ice Cream Sandwich (4.0.4 ICS) File. Step 2: Now, Go to your downloaded 'VMLite-Android-v4.0.4.7z' file and extract its all contents. Step 4: Now, Double click to open Android-v4.0.4.vbox file, It will load in VirtualBox Application and boot up the Android ICS file. Step 5: After that, Click on 'Start' at the top of toolbar and then if required select 'Android Startup from /dev/sda' option, When the boot menu is presented in VirtualBox. Step 6: Now, Android 4.0.4 ICS will be booting up on your desktop. Congratulations!! You're done.